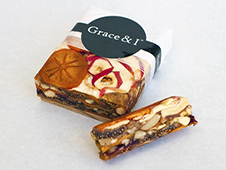 Home > Fruit + Nut Presses > Fig&Date Press..... with Orange Zest! Truly like a work of art, each Fig&Date Press is handcrafted with precision by devoted culinary Artisans. 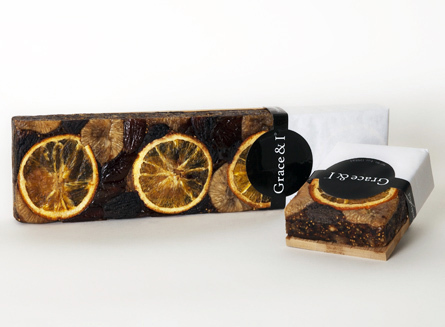 Each beautiful loaf is made of layers of various dried fruit and roasted nuts, then uniquely presented on its own bamboo cutting board. Fig&Date Presses are extraordinary accompaniments to a variety of wines&cheeses, welcoming endless pairing possibilities. 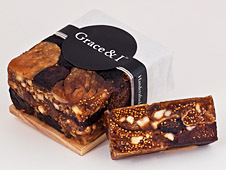 Each slice is delightfully balanced in flavor and texture between unsweetened fruit and crunchy nuts. The uniqueness of this press is that it is made with the added flavor profile of orange zest and a touch of liquor for a full flavor palate experience. They make for fantastic gifts, impressive platter presentations for entertaining, and exude an unforgettable mark of sophistication.